“A good dinner is a rare thing today. Gastronomy is like poetry. The first day of Spring 2016 was marked by the second consecutive year of Gout de France or Good France, an indulgence of French Gastronomy across different countries worldwide on March 21st. Over 1700 chefs participated across five continents to give the world a taste of French cuisine. 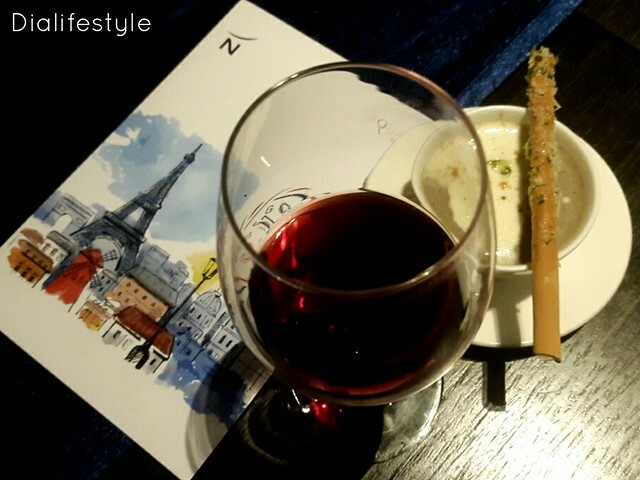 Among the leading restaurants that had participated in the Gout de France was The Square at Novotel. A fine dinner with wine was all that one needed to satiate one’s taste buds. The evening started with a glass of French Wine and along with it came a salad of Compressed Watermelon, blood orange, feta and aged Balsamic. 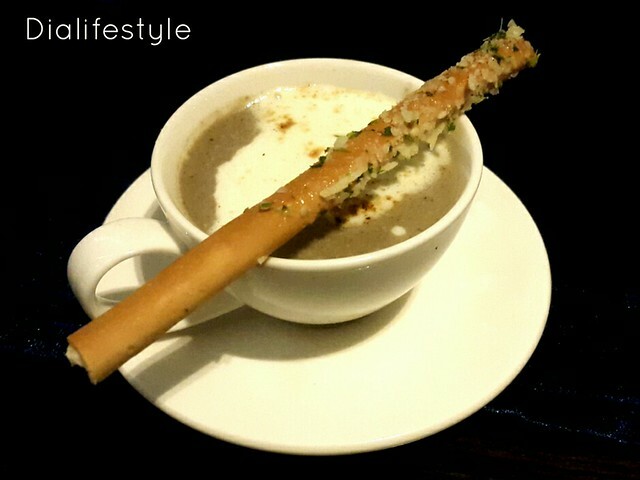 It then moved on to a Cappuccino of Forest Mushrooms and Gruyere Foam. The cappuccino was extremely beautifully made and despite its mildly thick body, left me with subtle mushroom taste. 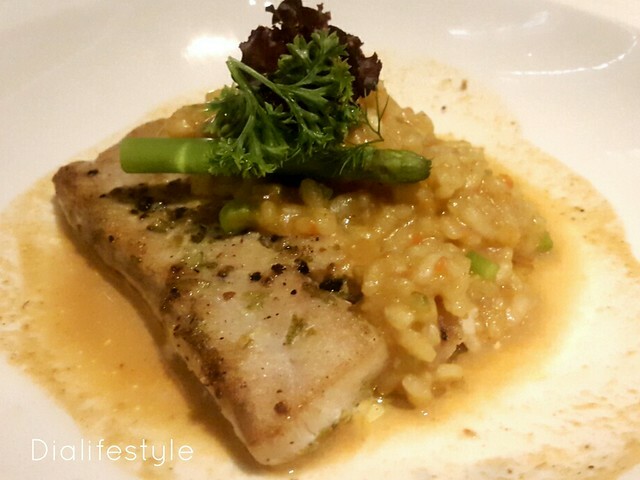 For the main course I had Pan – Fried Betki with asparagus and lobster bisque Risotto. It was surprising how beautifully Bhetki fish complimented the French cuisine since I had always been accustomed to the Bengali ways of cooking it. Infact, doesn’t come as a surprise that we Bengalis are often known as the “French of East”. Finally, the dessert was served in all its glory. 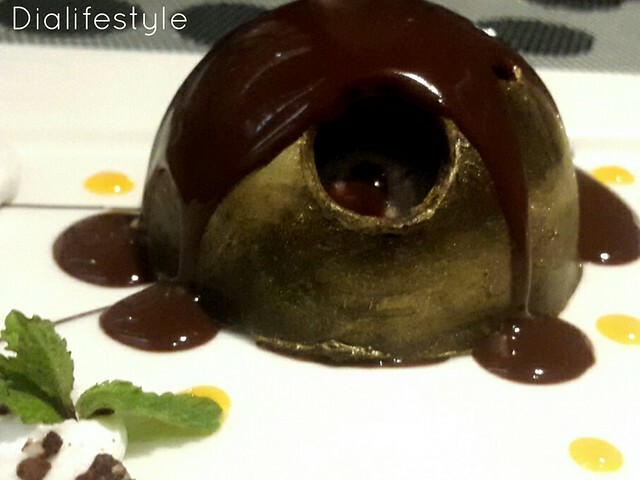 Chocolate Sphere, spicy poached pears, chocolate mud with French vanilla ice cream, and believe me it didn’t just have a fancy name. It was sinfully delightful. 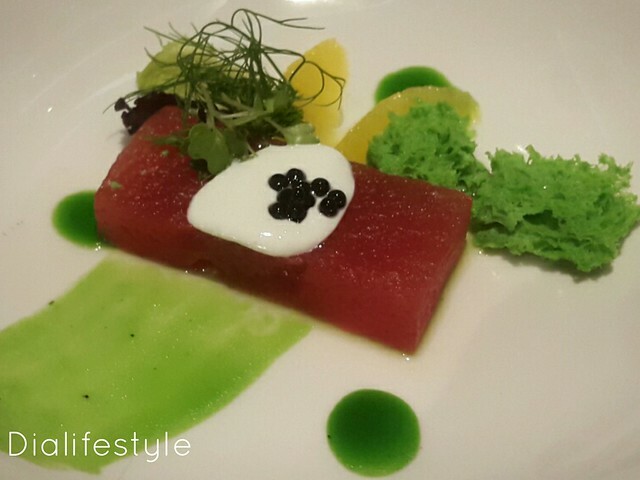 Have you tried French cuisine yet? Let me know your experience in the comments below.